If you’ve recently moved to the very small area of Pleasant, Indiana or you happen to be visiting the rural area, you know that there isn’t a lot of commercialized businesses around you. This will also mean that if you have a toothache, there aren’t a lot of dentist offices on every corner. When you’re in pain or it’s time to find a new dentist to set up an appointment, we’ve made it much easier for you. 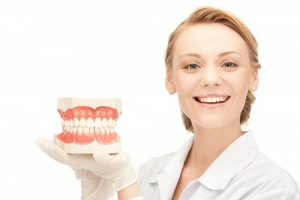 Emergencydentistsusa.com has compiled a list of the dentists in the area. From orthodontists to pediatric dentists, we’ll find something close by to you that will help you quickly be on your way to a perfect smile. By looking through our directory, you can see dentists that accept your insurance as well as ones that will offer finance plans and discounts if you don’t have insurance. If you don’t want to search our directory or you’re having trouble finding the right dentist, one of our friendly dentist finding specialists will be glad to help you via our toll free dentist number. Simply call the number and they will help you schedule your first appointment. We’ll even be glad to give you directions to get to that appointment. Once your first appointment is scheduled, make sure to arrive about 15 to 20 minutes early so you can fill out any additional paperwork that may be required for first time patients of the practice. Bring with you a valid ID, insurance card, copay, a list of any current medications, and a list of anything you may be allergic to. Pleasant, Indiana doesn’t have a lot of dental offices to offer, but the neighboring towns and cities do. This means that within close proximity, you will have your choice of doctors whether you need a periodontist, orthodontist, or an emergency general dentist. If it is an emergency, most people tend to find a general dentist that accepts quick appointments and get treatment from there, or if necessary, get a referral. Description: At the dentist office of Kevin L. Klinedinst, DDS, patients can expect to have their dental issues resolved with realistic treatments that will work best for them. This office likes to see their patients have the best overall health possible. The doctor continues his education so that he can keep up with modern procedures and technology to provide his patients with the absolute best in dental care. Description: Willhite Family Dentistry is dedicated to providing their patients with a pleasant experience. Offering extended hours on Monday, they try to accommodate even the busiest schedules for their patients. The administrative staff prides itself on being helpful with financial and scheduling to make dentist appointments a breeze. Description: Bright Now! Dental is a family practice that offers orthodontic and general dentistry. They have a friendly environment and take pride in making their patients comfortable. The office is also able to help with dental emergencies and encourages patients to call them if they are experiencing any issues as there is no problem too larger for them to handle. Never let a pain in your mouth continue to ache for more than a couple of hours. Chances are that if you have suddenly have an aching pain in your mouth, it is actually an infection that has been building and it has finally reached the root or sensitive area of your tooth. By ignoring it, it can and will affect the teeth that surround it, which will only cause you more pain. Whenever you visit a new dentist, make sure to check their credentials. You can do this online by checking the Indiana Dental Association. Most offices will also have their credentials hanging on their wall when you enter the receptionist office as well.